If you want to work your triceps, which exercise would you choose? What if you want to work on your core or torso? You are expecting we will dole out a list of complicated exercises that take a lot of time, bu the answer to all the questions is the same, the push-up! 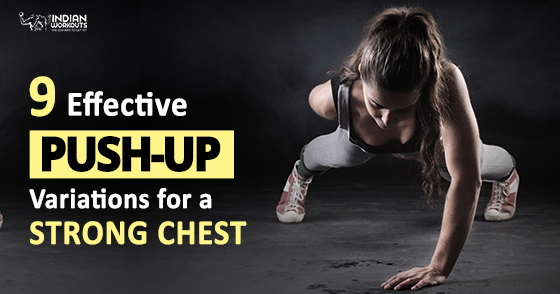 Yes, push-up workouts can work most of your muscles and can help you attain a lean frame. 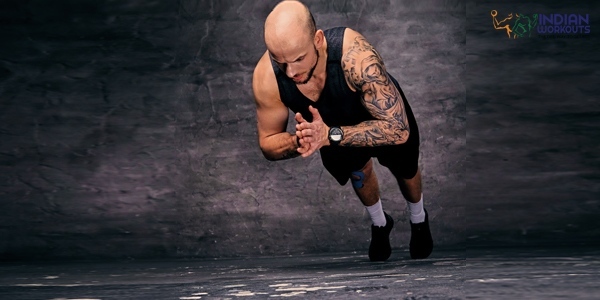 Of course you need to be committed to your workout regimen to get the desired results, but if you are confined to a room and not allowed to venture out to workout, trust us, it is push-ups you should trust! Have you tried to do a push-up? Well, if you are undermining its benefits, trust us, you won’t turn up your nose over this exercise once you do about twenty in one go! And, after that, it gradually seems like you are pedaling away furiously up a steep hill! Ouch! This calisthenic workout, as it is known, is perfect for your upper body as it works the pectoral, deltoid, and triceps muscles, serratus anterior, coracobrachialis, and of course, your core. This exercise is known as the gold standard for working out your chest. So how do you do one with perfect form? The push-up position is called the front-leaning rest in most military units and includes a prone position, which means you have to lie face-down horizontally with your back and legs in a straight line, supported by the arms. 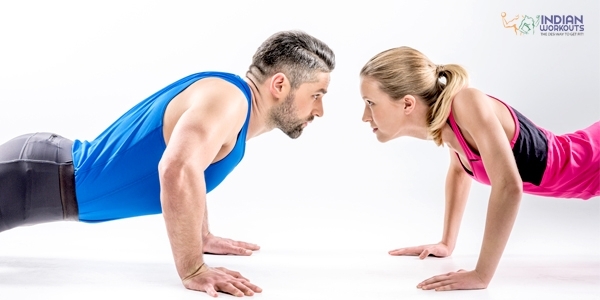 One very interesting tidbit on push-up is that it stems from yoga! Wow! Who would have thought of that?! Though the exact origin of this exercise is not known, what is known is that push-up variations have been there for centuries! Interesting, right? For instance, the Hindu push-up is thought to originate from the Zoroastrian practice of genuflecting to the sun, regarded as the Supreme flame. Also, it can be a combination of two popular yoga poses popularly known as the downward dog or AdhoMukhaSvanasana,and the upward Dog or UrdhvaMukhaSvanasana; the roots of which can be traced back to at least 3000 years. It is a compound movement which activates most of the muscles in your body. The major muscle groups which are activated are the biceps, triceps, core muscles, anterior deltoids, and lower body. These muscle groups get activated,support your body and also stabilizes your movements. It stretches your back muscles and biceps. This not only improves your flexibility but also prevents injuries. A push up is not only a strength-training move but also a cardio move as your heart has to work that much harder to ensure that oxygenated blood reaches each muscle-group. Thus, it proves to be an effective cardiovascular movement that can help you reduce extra body fat and also improve heart health. The more muscle mass you utilize while doing a push-up, the higher is the promotion of the human growth hormone. That is why you should start including push-ups into your fitness regime, especially when you grow older. As you grow older, it becomes difficult to enhance the growth of muscles. It is when you include push-ups and other bodyweight moves regularly that you increase hypotrophy or muscle growth. While you work out in the gym, there are increased chances of you getting affected by injuries, especially your shoulders. The bad news is an injury in the rotator cuff of your shoulders is quite common among avid gym buffs. The good news is that you can prevent such injuries by strengthening your shoulders with the push-up! As men and women age, the composition of the hormonal balance gets affected. Especially with men, whose testosterone levels nose dive as they grow older. Weight-bearing exercises like push ups not only help in the proliferation of testosterone but also help in building strong bones. A strong core can help maintain proper posture. Working on your computer, sitting all day can affect your posture drastically. 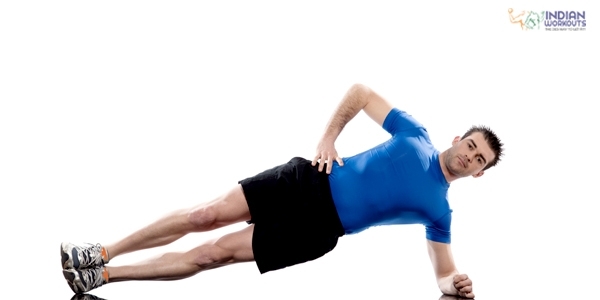 Exercises like push ups strengthen and fine tune your posture in the best way possible. Push ups are killer workouts by themselves, but when you tweak them to get those AB-tastic abs and killer chest, you get something really amazing. It may just add that extra zing to your workouts and transform your body forever! The diamond push-up is an integral part of military workouts, but it isn’t that you cannot do it and make life well, a little more difficult for you! Don’t get scared, even if it is hard, they are incredibly good for your triceps. It hits your pecs in the best way possible. Drop into the floor and start with a plank position. Get your form right by placing your hands together, your wrists should be directly under your shoulders. Keep the tips of your index fingers and thumbs touching. Your fingers and thumbs should make a diamond or triangle shape. After you inhale, exhale and bend your elbows while you lower your chest towards the floor. Inhale and straighten your arms. If this seems too hard, drop the knees to the floor. 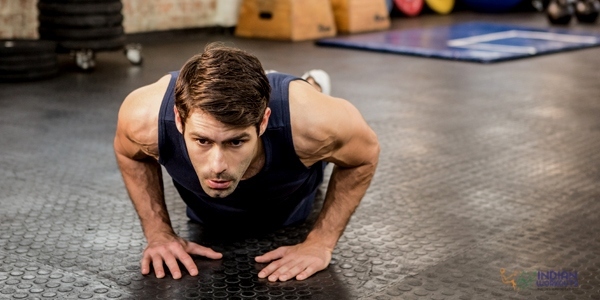 Are you bored of your regular push-ups? Then the Spider-Man push-up variation is just what you need as it will challenge your core, upper body and even targets the muscles on the sides of the torso. Stop getting bored, do a Spider-man push-up instead! Drop into the floor and in a traditional plank position, keepyour wrists under your shoulders, and align your body in one straight line. Bend your elbows out to the side and draw closer toward the floor bringing your left knee and touching it to your left elbow. Onceyou straighten your arms, get back to plank position this time bringing your left foot next to your right; and repeat this move on the other side. This completes one repetition. Clapping push-ups are one of the more explosive exercises that hit your pectoralis major, which is the largest muscle in your chest, in a big way! Not to forget your deltoids and the triceps. Lie down on the floor with your face down and hands on thefloor. Keep your toes on the floor and push the body up with arms extended and body straight. 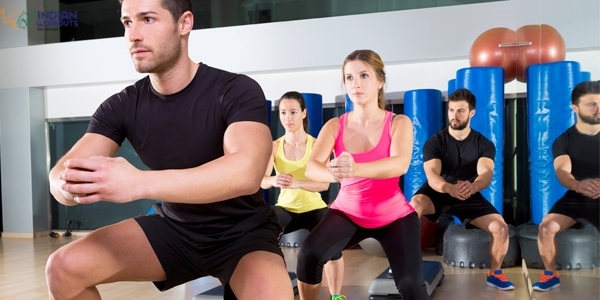 Lower your body nearer to thefloor and push your body up as fast as possible. As your hands leave the ground, rapidly clap your hands together and go back to the original position, catch your body before it falls. Repeat the exercise. Get strong chest and shoulders with the cross over push-ups. This move specifically helps to get the abs that pop and a strong upper body. Use your arms to tap your toes, it strengthens your supporting shoulder and it also keeps your abs thoroughly engaged. At the top, bring your toes up to your torso and tap one hand to the opposite foot. Repeat the exercise while tapping the other hand to the opposite foot on the next rep. The jump push ups are one of the best exercises to build a rock hard chest, shoulders and arms. Burn more fat, build lean muscle and get the hardest core ever with this workout. Lower down your body as you would do in a normal push up, then on the return explode through the hands and push off the ground. Land on the ground and immediately go low down towards the floor and repeat the exercise. 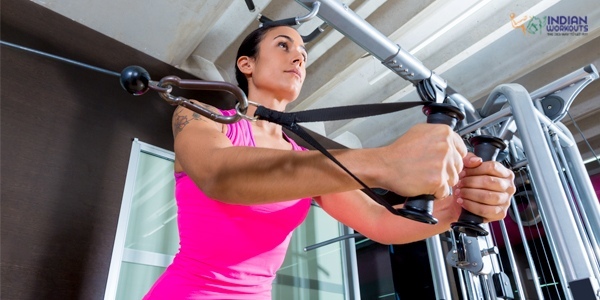 It targets your pecs, triceps, deltoids and all your key muscle stabilizers. Just focus on the form and follow it to the T.
Drop into a push-up position keeping your hands slightly wider than your shoulders and your back in a straight position. Engage your abs as you try to extend your right arm and left leg. Lower the opposite arm and leg but do not lower your torso. Repeat the procedure, lifting your left arm and right leg. Continue alternating the arms and legs until you’ve completed at least 8 to 12 reps on each side. That completes 1 set. This combination exercise of a plank and a push up targets the triceps, chest, shoulders and your core. Also, not to forget, the exercise benefits the lower back, hip flexors and stabilizers and helps build a strong core. This move is especially good to build arm strength and also improves the shoulder mobility. Start in push-up position keeping your wrists under your shoulders, back flat, legs extended behind you and your toes tucked under. Keeping your torso braced, lower the right forearm to the floor, placing your elbow under shoulder, then lower your left forearm to the floor. Hold the plank for one count, and then immediately get back up to start alternatingly placing one palm on thefloor at a time. Improve your upper body strength with the push-up row and increase your endurance in sports so that you can overpower opponents, become a pro in throwing the ball harder and so on. It also helps develop the shoulder muscles. Start in a push-up position and grab a kettle bell in each hand, with your palms facing each other. It will help you feel more stabilized if you grab a heavier kettlebell. Bend your elbows right behind you and keep them close to the sides. Lower your chest toward the floor, and then press back up. Once you are up, pull the left elbow behind you, bringing yourkettle bell up to the ribs. Repeat the push-up and perform the row on the opposite side. Continue the exercise by alternating sides with each rep.
Crank up your standard push up routine with the traveling push-ups. This sounds pretty interesting, and what’s more, it is not very easy to do and requires more core and triceps strength and control than the standard push up. This means that over time, the Traveling Push up will greatly help you build more core and arm strength. Start with a push-up position with your wrists under shoulders, your abs engaged and your legs extended right behind you. Drop into a pushup, and then step the right leg under and to the left of your left Your right hand should be kept under and to the side of the left hand. 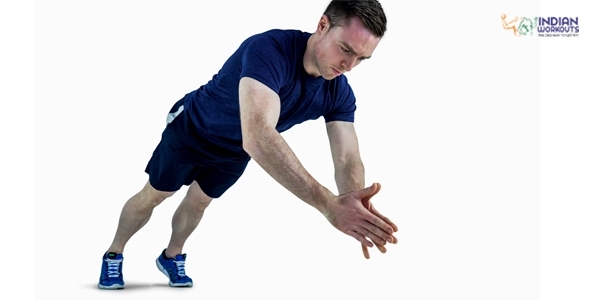 Step your left hand and leg to the right and move back into push-up position. Do a quick pushup, and then reverse the motion, keeping your left hand and leg steps over the right; and the right goes under left, back to the right, ending the exercise just where you started. You may not be able to master all the push-up variations in one day alone, it takes time to adjust to these intensive push up workouts, but once you get stronger, you can push yourself till you get body control and balance. When it comes to a stronger body, do not look beyond push ups, it is the savior for all those non-gym junkies who would rather ditch the dumbbell and lift their body-weight. Believe us, you can love it or hate it, but you simply cannot ignore it!